Also known as deafness, hearing loss is when a person is unable to partially or completely hear sound in one or both ears. It can be temporary or permanent. Although it often comes on gradually as a person gets older, it can sometimes occur suddenly. Hearing loss can be a result of some diseases or circumstances, such as chicken pox, cytomegalovirus, mumps, meningitis, sickle cell disease, AIDS, syphilis, Lyme disease, diabetes, tuberculosis, hypothyroidism, arthritis, some cancers, and secondhand smoke. General signs of hearing loss include difficulty hearing other people and misunderstanding what they say, asking people to repeat themselves, listening to music or watching TV with the volume higher than other people need, difficulty hearing on the phone, having a hard time to keep up with a conversation, and feeling tired or stressed from having to concentrate while listening. The side effects of hearing loss include earache, unusual noises in the ear or tinnitus, or a spinning sensation or vertigo. Hearing loss also affects the functional, social, and emotional aspects of a person. Hearing loss affects the person’s ability to communicate with other people. In children with hearing loss, there is often delay in communication skills, particularly speech and language development. It may also affect a child’s academic performance. Hearing loss affects the social and emotional health of a person as it may cause isolation and poor self-concept, feeling of loneliness, and frustration due to lack of communication skills. The condition not only affects the patient, but also the family of the patient. Parents of children with hearing loss may initially feel guilt, denial, anger, or shock. They might also feel stressed out, fatigue, or helplessness when they begin to accept and work towards helping their child with special need. The body systems harmed by hearing loss are the auditory and nervous systems, as it affects the ear and the ability to hear. 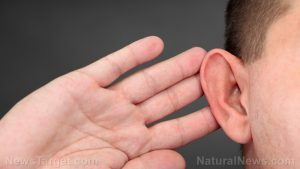 According to an article published on the website SunWarrior.com, the foods and nutrients that help prevent hearing loss include foods rich in alpha lipoic acid, potassium, folate, vitamins C and E, vitamin D, omega-3 fatty acids, magnesium, and vitamin B12. Management plans for hearing loss depends on the cause of the disease process. Patients who develop a long-term hearing problem may manage their condition with the use of externally worn hearing aids, implantable hearing aids, and additional hearing aids, ranging from hearing loops to vibrating pagers, visual trigger units, and specialist alarm clocks and telephones. Hearing loss is the condition when a person cannot partially or completely hear sound in one or both ears. Hearing loss causes earache, unusual noises in the ear or tinnitus, or a spinning sensation or vertigo. Hearing loss also affects the functional, social, and emotional health of a person. Hearing loss harms the auditory and nervous systems. The foods that help prevent hearing loss include foods rich in alpha lipoic acid, potassium, folate, vitamins C and E, vitamin D, omega-3 fatty acids, magnesium, and vitamin B12. Hearing loss can be managed by using externally worn hearing aids, implantable hearing aids, and additional hearing aids, ranging from hearing loops to vibrating pagers, visual trigger units, and specialist alarm clocks and telephones.